Properties: An all encompassing stone for health, prosperity and longevity. Associated with the Heart energy, it is said to have a special positive effect on illnesses of organs around the heart such as lungs, liver and even kidneys. It encourages tranquility while promoting wisdom and clarity. As a result, it is a popular stone for keeping worries at bay. 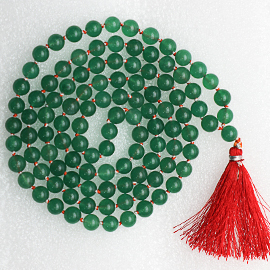 Jade is especially revered in Asian cultures and is considered an excellent or lucky gift to give others.